UNITED NATIONS ― After decades of turmoil resulting from drought, civil conflict, famine, armed militias, terrorists and even pirates, the East African country of Somalia remains a shattered state. And while massive international humanitarian assistance from the United Nations and the international community may have mitigated the worst results of the cyclical famines and somewhat stabilized a teetering security situation, now, in a fit of anger, the Somali government has ousted the U.N.’s chief envoy in the country. U.N. officials were caught off balance with the abrupt action from a government which is largely dependent on U.N. aid and largesse. Secretary-General Antonio Guterres expressed his deep regret over the government’s declaration that his envoy was persona non grata. While most readers see Somalia through the image of the movie “Blackhawk Down,” an account based on a 1993 battle in Mogadishu between U.S. special forces and warlords, the sad fact remains that for more than 25 years and despite some glimmers of hope, the situation in Somalia still reflects the undertow of poverty, lawlessness, and expanding Islamic extremist ideology. 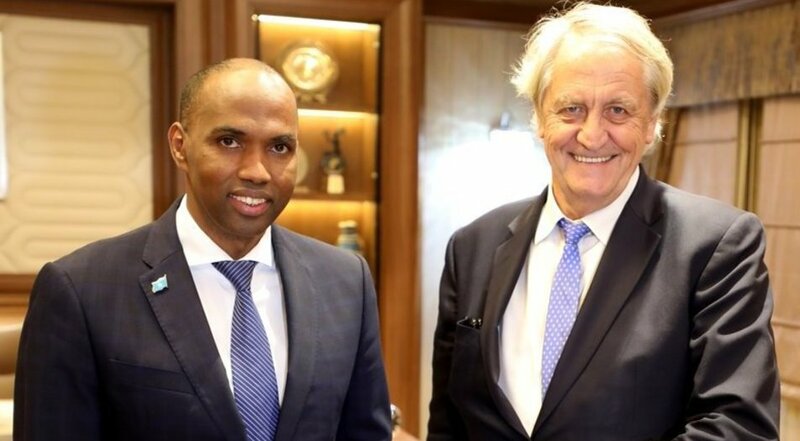 Yet Haysom stressed, “Somalia has laid the foundations to make significant progress in 2019,” while underscoring the complex political challenges facing the fractious central government. “Achieving this will require all role players to pull in the same direction.” This remains easier said than done in a warlord and militia rich environment. But what effect will Somalia’s rash actions have toward the U.N. which is trying to draw down some longstanding missions and operations? The African Union Mission, now deployed for over a decade, comprises a five-country military force of nearly 20,000 troops from Burundi, Djibouti, Ethiopia, Kenya and Uganda. Notably this is not a U.N. peacekeeping mission but a regional solution approved by the Security Council. Back in October there was an intent to scale down the mission, but the troop reductions were put on hold till the end of February. Given the precipitous actions by the Somali central government in Mogadishu, now the U.N. and wider international community may be reluctant to invest deeper in this fractured state of 15 million people. The U.S. Agency for International Development (USAID) describes the country: “Since 1991, Somalia has essentially been a collapsed state and has experienced chronic food insecurity, widespread violence, and recurring droughts and floods. The social costs of war have been enormous.” Current American aid stands at $312 million. Somalia comprises the Horn of Africa strategically abutting the Gulf of Aden and the Indian Ocean. The Islamic jihadi al-Shabab organization, a particularly lethal offshoot of the al-Qaida network, controls large swaths of this country and regularly targets civilians. Despite Somalia’s political quagmire, there’s some good news from the wider region; neighboring Ethiopia has settled its long-standing frontier tensions with Eritrea. Somali pirate attacks on merchant ships transiting the nearby waters in the Indian Ocean have been nearly stopped by multinational and NATO maritime patrols.